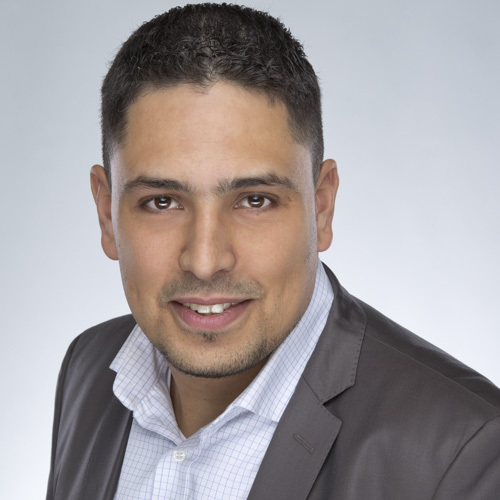 Mohamed works at JUGO, a highly specialized SAP BI Consultancy company in ‘s-Hertogenbosch in the Netherlands. Within JUGO he works as a Business Intelligence Consultant in data-warehousing and reporting at different multinationals in the Netherlands. Mohamed Abouyakob studied Informatics & Economics at the Erasmus University in Rotterdam. After his study in 2006 he started working as a Business Intelligence Consultant at a big Dutch consultancy firm. In 2007 he made a switch to JUGO, a highly specialized SAP BI Consultancy company in ‘s-Hertogenbosch in the Netherlands. Within JUGO he worked as a Business Intelligence Consultant in both data-warehousing and reporting at different multinationals in the Netherlands. Mohamed is a certified SAP BW and a SAP HANA Application Associate. The last 6 year he focused on the topic of data visualization. Mohamed followed several training courses and seminars from different data visualization gurus. In 2014 he became acquainted with IBCS® and since then it became one of his major focus areas. Mohamed’s experience covers SAP Business Warehouse experience including BW on HANA (since 2006), SAP Business Objects (since 2010) and Qlikview backend and frontend (since 2015). 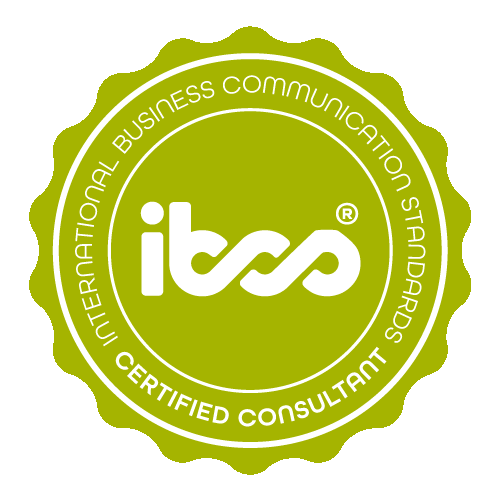 Mohamed Abouyakob has successfully completed the IBCS® certification for successful design of reports and presentations at the HICHERT+FAISST IBCS Institute in May 2015. The following report are slightly based on a real case but with dummy data. Training completion monitor The first charts shows the number of consultants that have completed this training and the numbers that still need to complete the training. The report also shows the completion rate for the different countries. Certification completion report Report to monitor the completion of 'process management' certifications within a consultancy firm. 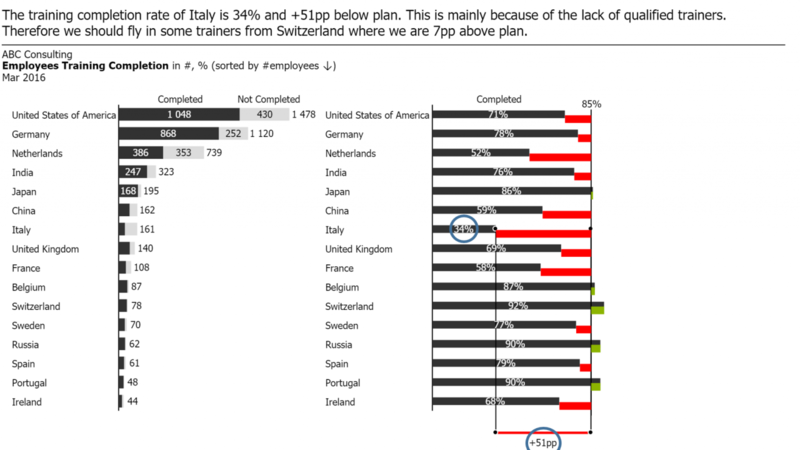 The report is showing the number of actual and forecasted completed certifications together with the plan figures. Guest lectures about IBCS® for the minor Digital Marketing at Fontys University in Eindhoven. Mohamed is one of the organizers of the IBCS® Round Table ‘s-Hertogenbosch. IBCS® Round Tables facilitate the exchange of ideas around the design of reports using the IBCS® Standards. JUGO offers Business Intelligence consultancy and managed services related to SAP and Qlik. One of our focus areas is data visualization, where the concept of IBCS® is being applied.